Pontual Money Transfer has been offering remittances services to Brazil for more than a decade, having pioneered the regulated market at a time when other players were operating a non-legal payment manner. Today Pontual has been established as the number one American payment processor specialized in remittances to the Brazilian market, processing thousands of transactions daily. The company provides seamless cross-border mass payouts connecting businesses and individuals from a secure single payment getaway. Pontual developed a robust customizable API solution to fit its customers’ payments need. Expanding its services, in 2014, the company released Enviouchegou, an online and mobile App platform to serve exclusively the Brazilian community in the US. In 2017 Pontual has launched USEND, offering online money transfer services on a global scale, enabling users to have a reliable and multi service platform to send money abroad. 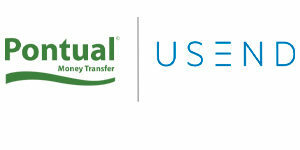 With the USEND App, users can send money, pay bills and reload pre-paid phone to Brazil and several other countries.